A previous World of Warcraft expansion was called ‘Mists of Pandaria’ and although this was not Blizzards best expansion ever there was one theme that taught me a valuable life lesson. 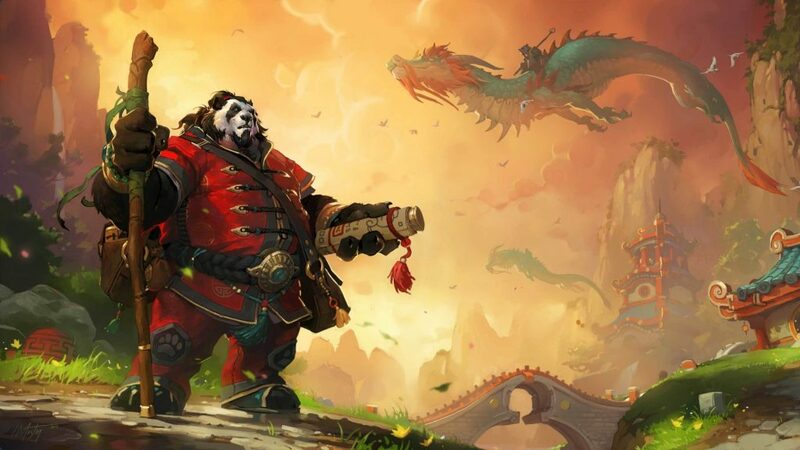 Through-out the entire game you (your character) run across the beautifully mystic and peaceful country of Pandaria, home of the Pandarians (Panda’s). 99% of the time all players rush to complete quests, level their characters, get the gear and kill the bad guys. It is a mad rush and if you’re not careful you miss the entire game’s beauty, story and design elements. But in Pandaria there was plenty of reason to stop, take a moment and be present. While you run madly from one quest giver to the next you are constantly prompted by random characters in the game to “slow down”. The local Panda’s respond with a very calm and slowly uttered “slow down” phrase. It was not until last night when I actually stopped…looked around and slowed down. Now I can’t get these words out of my head. To “slow down” and realize what’s going on around me and my world really has its benefits. I now find myself slowing down and enjoying the game itself more. I take the time to admire and be amazed by the new Pandora continent. I now take the time to read all the quest text and dialogue. Imagine of we can apply this logic to life! Real life! Imagine how we would appreciate a sunrise, sunset, mountain rage or even a flower growing among concrete walls. Slow down whenever you feel you need a break. Slow down before the next huge leap. Slow down be present. Slow down to experience life.